Megakings mid November promotions are bursting at the seems. So let’s take a look at what’s coming for the rest of the month. 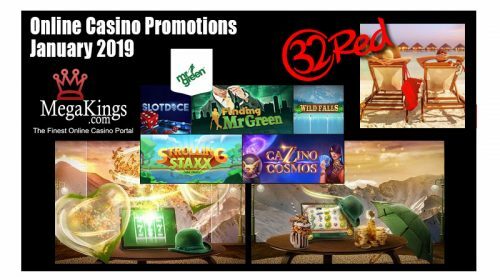 We have promotions from Mr Green and 32Red together with Intercasino and Royal Vegas. Every new player signing up for a Mr Green account will be awarded with an extra 25 Free Spins on the festive slot ‘Secrets of Christmas’. That’s right, any new player that signs up before December 31st will receive 25 extra Free Spins, a further 200 Free Spins on selected games and a 100% Match Bonus. Christmas fun, cash, gadgets, holidays and so much more await on Mr Green’s €1,000,000 Festive Quest. Each day holds an exciting treat for your players to enjoy in either the Casino, Sportsbook or LIVE Casino. A year’s worth of FREE CASH? 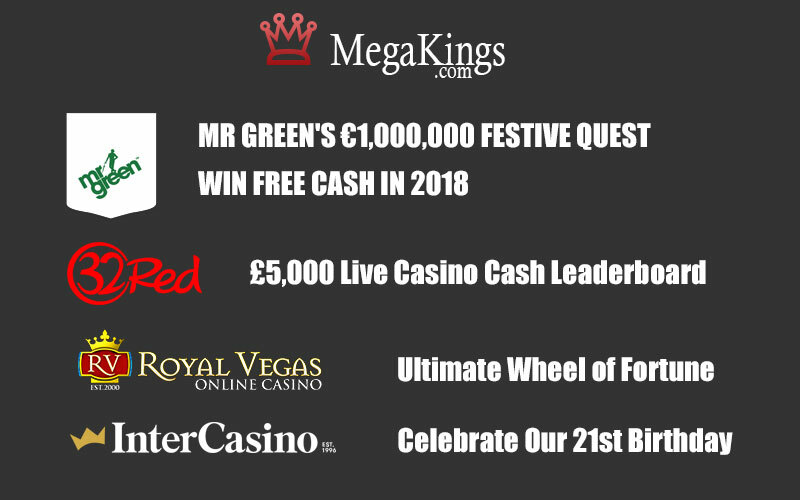 That’s right 5 Mr Green players will win FREE CASH every week throughout 2018. Sounds crazy, right? Well, but it’s certainly not a dream – it’s called Christmas at Mr Green! Keep your eyes peeled for more info coming soon. Ready to make a run at the Live Casino leaderboard? Deal yourself in and you could win up to £1,000 in cold hard cash! Between Thursday 9th November – Sunday 19th November Live Casino players will be competing for a share of £5,000 in hard cash – no wagering attached on Live Blackjack, Roulette, Dream Catcher and Casino Hold’em. Furthermore for every £10 wagered you’ll earn 1 point on the Live Casino leaderboard, where you could win up to £1,000! 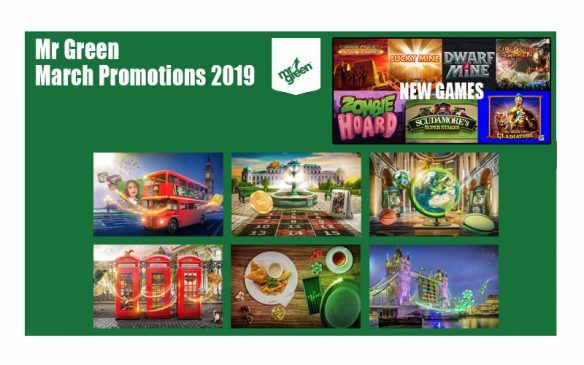 Play for a chance to spin the wheel of fortune and win your share of €400,000 in instant prizes that includes Free Spins, bonuses, Rewards points and much more. So, simply, play your favourite games and earn Rewards points to fill up the progress bar. Each time you reach 100%, you’ll also get a spin on the Ultimate Wheel of Fortune for a prize! InterCasino are guaranteeing you rewards with 4 weekly missions throughout November, plus a £10,000 raffle to wrap it all up. 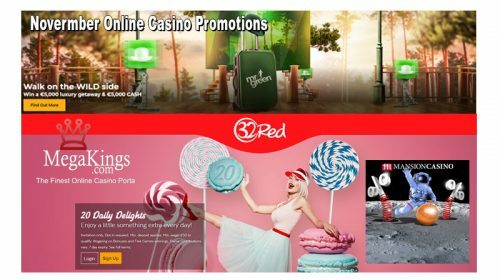 InterCasino are celebrating turning 21 by offering you guaranteed rewards throughout November and a huge £10,000 raffle at the end of the month. After all, there’s no way they’d have got this far without you. So, here’s the deal. There are 4 weekly missions throughout the month. Complete the 3 objectives each week to win a prize and a ticket into the £10,000 raffle. Lastly, if you enjoyed this article them there are plenty at our Promotions page.